The Water Education Leaders for Secondary Science (WELS2) project at the University of Nebraska-Lincoln (UNL) will support the development, implementation, and evaluation of a 15-month sustained professional development program for secondary STEM teachers in the state of Nebraska focused on teaching and learning about water resources. The program will involve a set of diverse professional learning experiences, including a participation in water science research projects, online STEM coursework, and face-to-face workshops. The goals of the program are threefold: a) to helpteachers learn about water resources, b) translate this knowledge into curricular resources for use in secondary classrooms, and c) positively impact students’ learning about water resources. Participants will complete nine credit hours of UNL graduate coursework and, upon successful completion of the program, receive WELS2 certification. This integrated project is grounded in a partnership involving the UNL School of Natural Resources, Robert B. Daugherty Water for Food Global Institute, UNL water scientists, the Groundwater Foundation, and six Nebraska school districts. 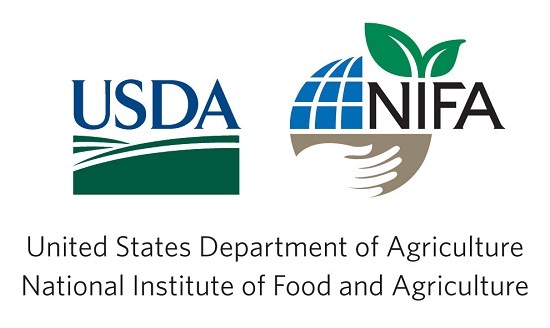 Project goals and objectives are directly aligned with USDA-NIFA’s priorities, reflect prior STEM education research, and are grounded in state, national, and international STEM education reform efforts, including alignment with the Next Generation Science Standards. The project will help catalyze a self-sustaining and non-exhaustive professional development model that leverages, builds upon, and enhances existing UNL programs, including on online master’s degree for K-12 STEM educators, the Nebraska Collaborative for Food, Energy, & Water Education, and other grant-funded projects at UNL focused on K-16 teaching and learning about water. The WELS2 project is supported by grants from the USDA-NIFA PD-STEP program and Improving Teacher Quality (ITQ) grant program through the Nebraska Coordinating Commission for Postsecondary Education. Stay up to date with current news associated with the WELS2 project here. Tina Vo – Tina Vo is an Assistant Professor of Science Education at the University of Nevada-Las Vegas (UNLV). She was a graduate research assistant on the WELS2 project from 2017-2018.